Welcome to the Keeping Christmas blog hop for April. This card was quick to make and would be easy to make multiples of. The DP I used had a series of sentiment panels that I cut up and added foam tape too. I cut two more panels and added a layer of brown cardstock to each. 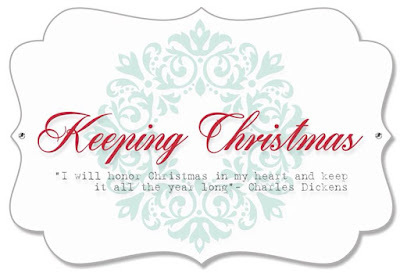 Supplies: White and brown cardstock, Designer Paper-Bo Bunny, Hero Arts - Jolly Holiday Wishes. Loving the woodgrain! Its really effective - I have a pkg of woodgrain I was just given and can’t wait to use it. Such a fun card! Love that white embossing on the woodgrain. Wow! The sentiment stamped on the woodgrain is fantastic! You've really captured a great rustic feeling! Wonderful card and that white embossing add a magical touch to your sweet creation. 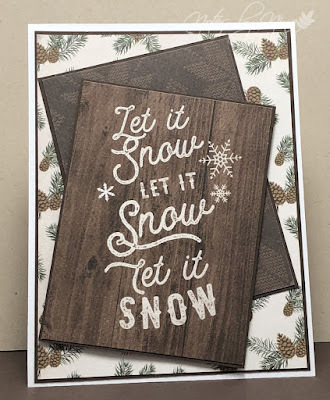 Quick and easy cards are a must for creating a stash to use next Christmas. These feel all warm and cozy. 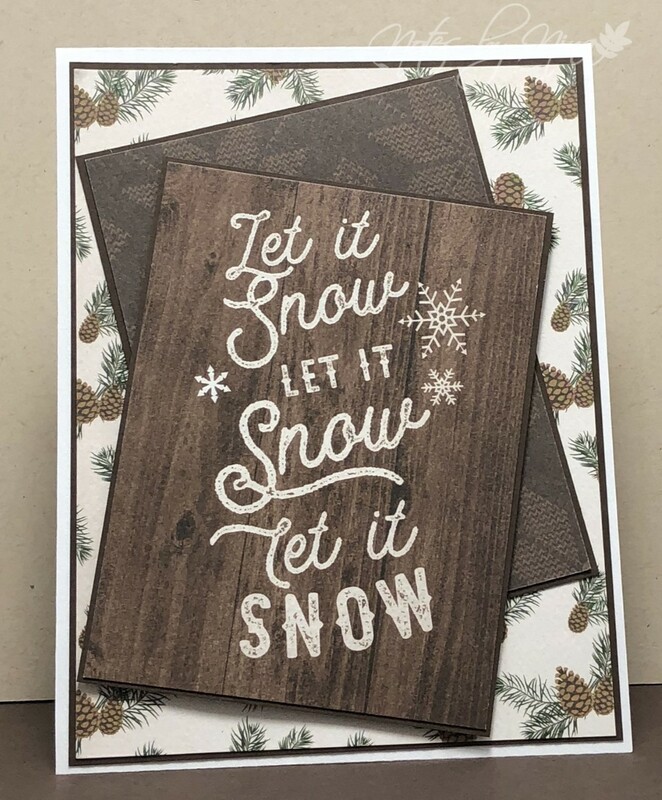 The woodgrain and embossed message are very cheery and Christmas-y. I love the simplicity and am inspired!